At the beginning of any real estate project is the question of land use regulations and government approval at both the local and state levels. Scott/ Harris is able to offer its clients legal representation for land use, zoning and administrative matters. As administrative controls on development have grown, so has the Firm’s experience in land use and zoning. 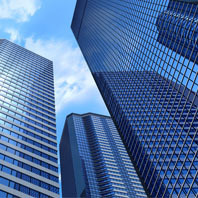 Scott/ Harris represents major developers and lending institutions that are leaders in the real estate industry. From its years of experience in the field, our land use lawyers are able to counsel their clients at the beginning of a project about land use and zoning issues, and then actively pursue solutions. Regular representation at county and city commission meetings, planning and zoning boards, zoning boards of appeal, water management districts and regional planning councils on behalf of clients is not uncommon. The Firm’s experience has been tested in matters associated with Development of Regional Impact; Planned Unit Developments; Comprehensive Land Use Plan changes; rezonings; annexations; special exceptions; variances;and other land use permitting actions. Scott/ Harris also has experience in zoning appeals, including obtaining writs of certiorari in cases involving the denial or approval of variances, Chapter 163, appeals, special uses, and other zoning decisions made by local government boards. Experience means that the Firm’s land use lawyers have developed contacts in local and state government, and have an invaluable knowledge as to the viewpoints and attitudes of key government officials. Experience also means that our land use attorneys know what type of presentation is required to get those crucial votes before zoning boards and county and city commissions.